Small business credit cards are increasingly popular business financing options, particularly for entrepreneurs who don’t qualify for traditional business loans and don’t have access to networks filled with deep-pocketed family members, friends, and colleagues. No matter what your business does, a credit card can probably help – as long as you use credit wisely and avoid making purchases your company can’t afford. Small business credit cards typically have higher spending limits and more generous rewards programs than consumer cards. Some have additional benefits, such as low APRs, attractive balance transfer promotions, personalized concierge service, and fringe benefits. However, many also come with annual fees and require good or excellent credit to qualify. Keep in mind that qualifying for business credit cards is a bit different from qualifying for consumer credit cards. 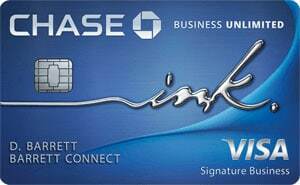 Some issuers simply require you to submit a valid Social Security number and affirm in writing that you’ll use the card exclusively for business purposes. Such laid-back issuers welcome freelancers and solopreneurs – basically, anyone who files a Schedule C at tax time, including people who don’t really think of themselves as business owners. Some issuers are more strict. They request a federal employer identification number (EIN), seek evidence of incorporation, or ask for financial statements. If you can’t prove that you actually own an incorporated business with legitimate cash flow, you won’t qualify. Also, remember that business credit cards are exempt from some of the protections of the CARD Act, including the requirement that card issuers regularly notify cardholders of changes in terms and conditions. The following small business credit cards offer a favorable mix of advantages and drawbacks for business owners with strong credit. Capital One® Spark® Cash for Business is very similar to Spark® Miles for Business, Capital One’s premium business travel card. The rates, fees, and early spend bonus value are identical. The primary difference is a cash-based, not miles-based, rewards system. When you sign up for this card and spend at least $4,500 in eligible purchases within 3 months, you get $500 bonus cash back. 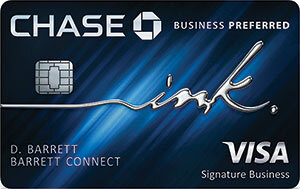 From the outset, all purchases earn unlimited 2% cash back, with no caps or restrictions. You can redeem accumulated cash back in any amount for checks or general statement credits. Early Spend Bonus: Earn $500 bonus cash back when you spend at least $4,500 in eligible purchases within 3 months of account opening. Key Fees: There’s a $95 annual fee, waived for the first year, but no balance transfer or foreign transaction fees. Cash advances cost the greater of $10 or 3%. Other Perks: Get a customized, itemized quarterly spending report with your statement four times per year. 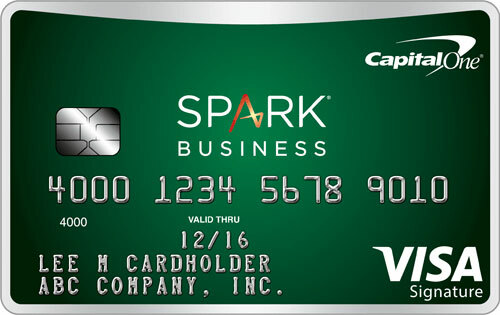 Capital One® Spark® Miles for Business has a $95 annual fee, a solid travel rewards program, and a very attractive early spend bonus. When you spend at least $4,500 in eligible purchases in the first 3 months, you earn 50,000 bonus miles, good for statement credits of up to $500 on travel purchases. Moving forward, all purchases earn an unlimited 2 miles per $1 spent, with no spending caps or categories. Accumulated miles can be redeemed for statement credits or direct purchases (through Capital One) on a wide range of travel-related items, including airfare and hotel stays, at a rate of $0.01 per mile. Early Spend Bonus: Earn 50,000 bonus miles, worth up to $500 in travel, when you spend at least $4,500 in eligible purchases within 3 months of account opening. Key Fees: The $95 annual fee is waived for the first year. Cash advances cost the greater of $10 or 3%, and there’s no balance transfer fee or foreign transaction fee.